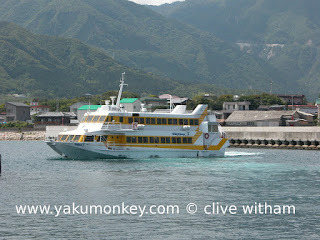 Yakushima jetfoil hits a whale! A few years ago a Toppy jetfoil hit either a whale or a submarine (it was never confirmed which one) and now last week it happened again but this time a whale. 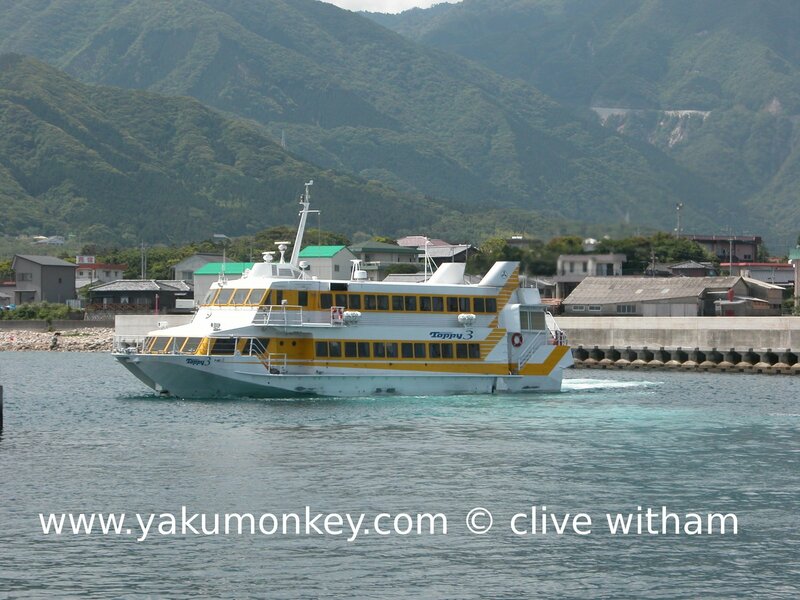 Five people were injured Sunday when a high-speed ship bound for Yakushima Island collided with an object thought to be a whale, the Japan Coast Guard said. The Toppy, which left the city of Kagoshima early Sunday with some 190 people on board, issued a distress call to the Japan Coast Guard at around 9 a.m. after hitting the object about 2 km off Cape Sata, in Kagoshima Prefecture, it said. Three crew members had to be airlifted to a hospital, while two passengers were slightly injured and many others complained of feeling sick, the coast guard said.